we are manufacturing Mild Steel Chimney up to 100 feet, weight is 20 ton & also erected. As per the needs and requirements of our clients, we are involved in providing Mild Steel Chimney. Our Mild Steel Chimney has rewarded us a high esteem in the domain owing to its high durability. The product is offered at reasonable prices and has enticed huge clientele across the nation. We are offering Boiler Chimney to our clients. 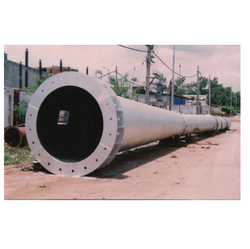 We are an eminent organization which deals in offering Mild Steel Chimney to our clients. This is used for elimination of impure air outside industries using a narrow nozzle which is situated at top. This Mild Steel Chimney has been developed from superior quality stainless steel which we have sourced from our genuine vendors. 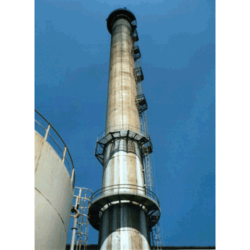 Riding on unfathomable volumes of industrial expertise, we are providing a broad array of Industrial MS Chimney.